Hello Mr Jaron. I purchased a sealy mattress prior to this new bed and it didnt hold up it was sagging hurting my back i have back problrms from a bad accident few years ago. Thank you again the new bed which is jarons brand is great the delivery guys were so nice and super fast i love the new bed and my back does to lol i will stick to your products from now on forget sealy lol. I have friends that have jarons bedding and all have been very happy and they told me to go w your products they last very long. Thanks again I will be back when i need something new again. I would like to discuss the service I have received from Ronni Newton. 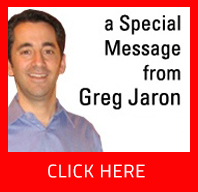 I have purchased furniture from Jaron’s several times over many years. I have lived in Florence since 1984 and have bought furniture from both your Bordentown store as well as the one that use to be open in Delran. My last set of living room furniture was purchased about 2 years ago. I noticed that the fabric was wearing very quickly on this after a year. I went into the store and the sales person on the floor at that time said he did not know as it was a very popular brand and everyone loved it. Well, while that may be so the fact remained 2 of the cushion seats were very worn and looked more like 12 years old! So one evening I went into the store and talked to Ronni Newton. When I explained my situation to her she looked at my invoice and immediately knew that there were other complaints regarding this particular set. She immediately set out to contact the manufacturer for a resolution. After a few months went by she was in contact again and much to our dismay they would not cover anything as it was over a year old. So then I said bottom line I needed 3 new cushions for my sofa. She then went to work to order new cushions. This again took some time as they sent cushions but no covers. She also worked with me so my out of pocket costs would not be too much. Well I can tell you after several months of perserverance, numerous calls and emails to each other and manufacturer my sofa finally looks great again. I have to tell you I have never had someone who worked so hard for so long to make sure that I was satisfied with the outcome. Ronni is one of the most caring, compassionate and diligent person that I have ever had the pleasure dealing with. She understood my needs, helped me to get the best outcome possible and would not stop until everything was completed to my satisfaction! If Jarons has any kind of award for Outstanding Employee Ronni deserves it!!!! She is the reason I would come back to Jarons as I know she truly cares about people and that is what customer service is all about! Thank you for your time and attention. Got our new living room set yesterday. Your driver Otis and his helper were by far the most professional employees I have ever dealt with. They delivered our stiff and set it up quickly and efficiently. They even had to work around my old cheap Aarons furniture. They even offered to move it for me. Thanks again to Otis and his helper and I will definitely reccomend Jarons to all of my friends and family that are in the market for new furniture and will most certainly use you for all our future furniture needs!!! I am writing to you to let you know that the service representative was here today to repair our recliner. He was on time, courteous, friendly and VERY knowledgeable! We are very happy with the outcome of the service call. He was truly a tremendous worker. What went from a not so happy situation to a we are very pleased and will be a returning customer! Thank you for your attention to this problem. I wish you continued success in your business and will NOW recommended Jarons to our family and friends because of your service personnel. I just wanted to follow up with this email letting you know that I think Jaron's is one of the most upstanding establishments that I have ever dealt with and going forward all my furniture needs will be purchased at your stores! Thank you so much for the replacement cushions and the wonderful customer service you have provided to me, I will be sure to spread the word to all my friends and family as to what a great place Jarons is ! Jarons went beyond and above expectations. I needed a recliner delivered within 24 hours for my Mother who is in a nursing home. The day We went into Jarons, the sales lady, forgive me I forgot her name, listened to me and my requests. She was so very helpful and on top of things, Jarons promised delivery the following day and they delivered! We just recently bought furniture and it was delivered this morning. I would just like to make a comment regarding the delivery men and just the entire experience with Jarons. This is my first time buying furniture at Jarons, but I choose Jaron's because of the many suggestions I received from friends/family. Their suggestions were absolutely right. From the moment we walked into the door to start looking a Sales Rep (Kathy) greeted us and answered all questions we had. She was great to work with. When we were trying to schedule the delivery date/time I was working with Diane. She also expressed great customer service. Today the furniture was delivered. I was given a time from of 10am-1pm. Jarons arrived at 10:03am!!! The men that delivered and put the furniture together are the main reason for this comment. They were extremely professional and very friendly. My husband was at work and they helped me put the furniture where I wanted it and made sure I was 100% satisfied before leaving. There were a few issues with the dining room table and Juan explained everything to me and what he would do to fix the issues. Even with the minor issues I am 110% satisfied with Jarons. I hope this comment reaches the delivery management area because I really feel that my delivery men which were Juan and Charles should receive some type of recognition for the outstanding work they do every day. I will suggest Jarons to anyone looking for furniture. I have purchased many items at Jarons in Bordentown and have been nothing but exceptionally pleased with the products and the delivery service. Last night (5/9) I went to the Lumberton store for the first time (as it is closer to my house) and my experience there was even better than in Bordentown thanks to sales associate Caroline Dwight. She was so sweet, pleasant and helpful. Caroline went out of her way to greet and assist us, while simultaneously assisting another couple. We purchased a dinette set and a rug from her. I just wanted to show my appreciation for Caroline and let you know that she is fantastic! You are lucky to have such an exceptional woman working for you.